It’s been an exciting week for Emedgene. 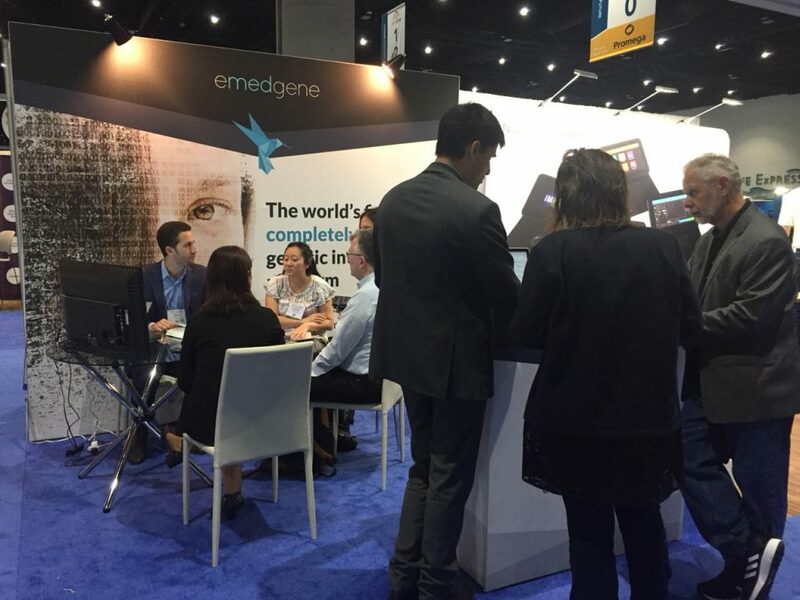 We went from a packed booth at ASHG 2018 in San Diego, meeting some of our friends in leading genomics organizations. Straight to the awards ceremony for the Prime Minister Innovation Award for 2018. Overall, Israel is investing tremendous resources and attention to genomics. The Prime Minister office has put on its agenda to promote Digital Health with a $275M budget announced earlier this year. The Ministry of Health is promoting a large-scale genomic project, of which Emedgene was chosen as a provider of genetic interpretation platform. Emedgene was among three winners selected from nearly 400 startups, over 100 of them innovators in the field of healthcare. Eric Schmidt, former Executive Chairman of Google, and an active startup investor, has shared his take on the genomics market. “You’re the beginning of a solution to a billion dollar problem,” Schmidt said to me during an innovation panel onstage. We were discussing the problem of an aging population burdening health systems worldwide. Genomics-based medicine will be able to predict the kind of care you will need, allowing health systems to respond even with constrained resources. With all the visionary thinking, it’s important to remember that our AI decision support can accelerate genetic interpretation right now. One of our ASHG18 posters, in collaboration with Baylor Genetics, found that time to interpret a case with Emedgene was reduced significantly. As a company, we’re trying to solve a very basic problem: bridging the gap between the wealth of knowledge which resides in the scientific community (in publications and the minds of expert geneticists), and the clinical point of care. The goal is for each of us as patients to receive personalized care driven by our unique genetic makeup. And when governments begin to imagine, change finally happens.